Story and photos by REDintern Clara Lau. 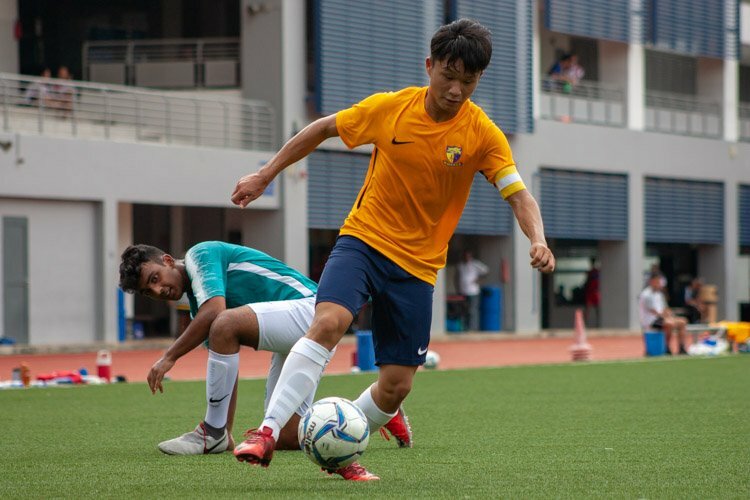 Victoria Junior College, Wednesday, April 10, 2019 — Defending champions Victoria Junior College (VJC) narrowly beat Raffles Institution (RI) 1-0 in a closely contested group stage match. 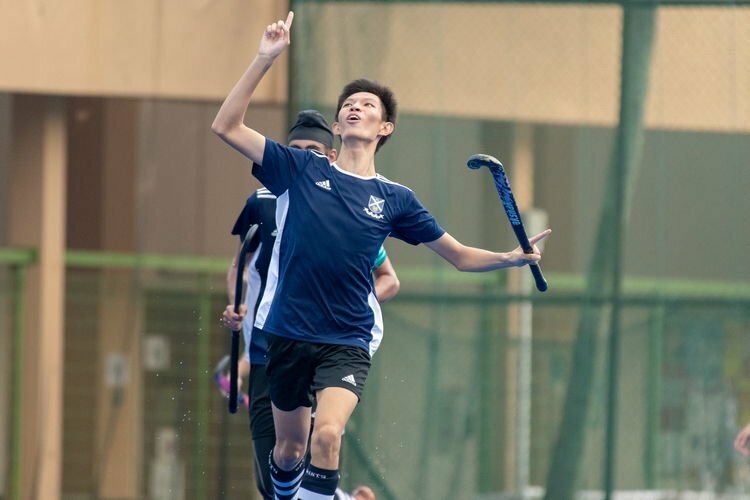 Straight from kick-off, it was VJC who showed more aggressive intent, constantly attempting to feed the ball down both sides of the field to their speedy wingers. 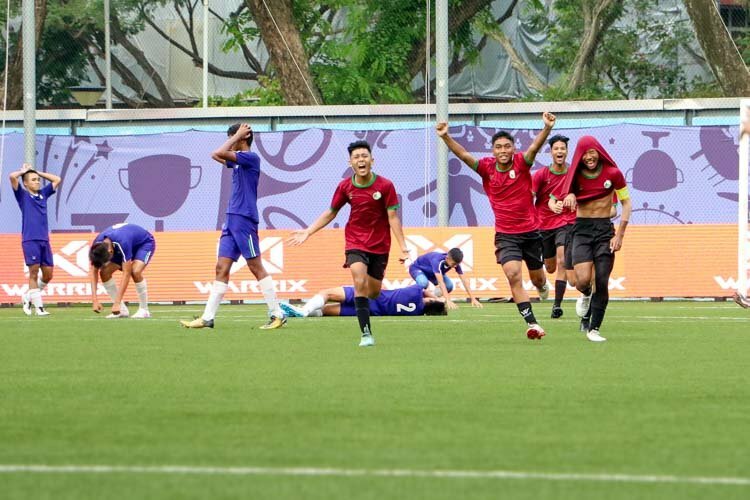 Just 15 minutes into the game, VJC were presented with a golden opportunity to take the lead when they were awarded a free kick right outside the box, but Nur Darwisyah’s (VJC #12) shot sailed wide of goal. 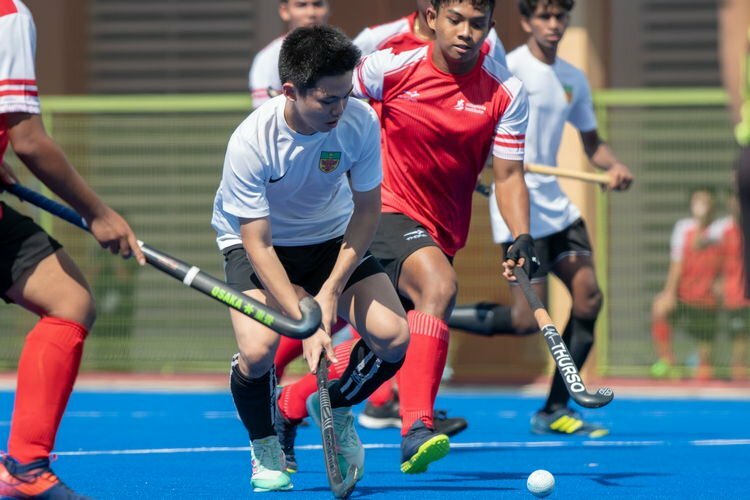 Throughout the first half, VJC continually tested RI’s defence, but RI remained resilient – efficiently closing down the attackers and denying any long range attempts. Despite the persistent pressure by VJC, RI’s keeper, Chua Bing Ya (#20), was a steady figure in her team’s backline, making multiple saves and cutting out numerous crosses. 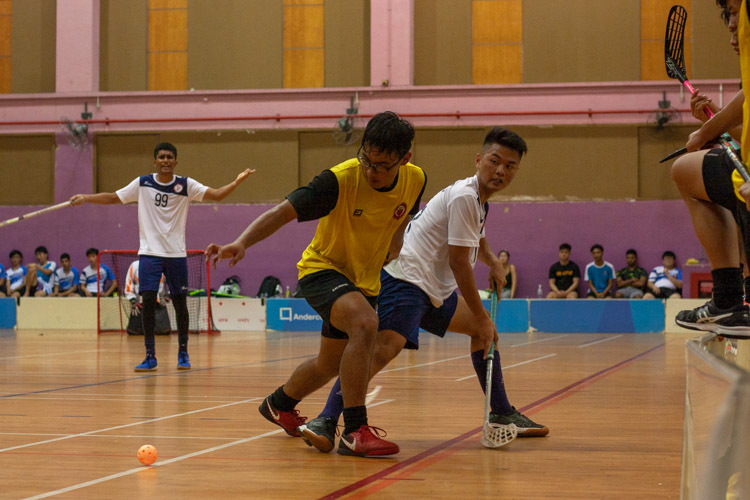 As the second half kicked off, there was still nothing separating the two teams, and VJC started showing more urgency to take the lead. 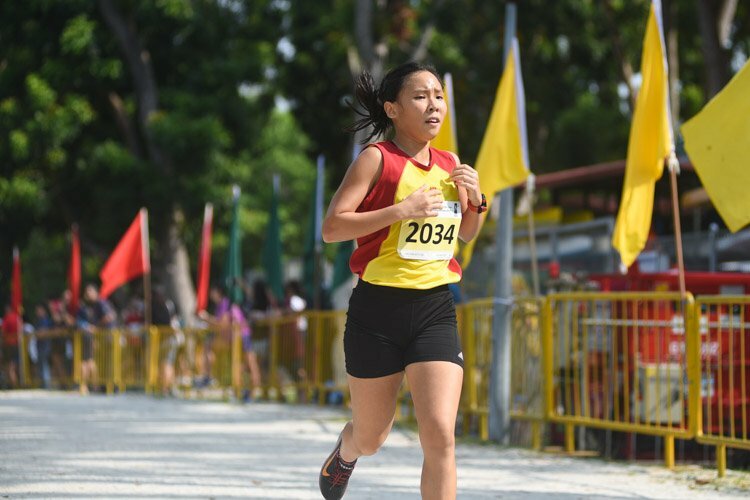 Joie Teo (#10) of VJC stood out as she capably used her fancy footwork and speed to get past defenders and lead a charge down the wing again and again. 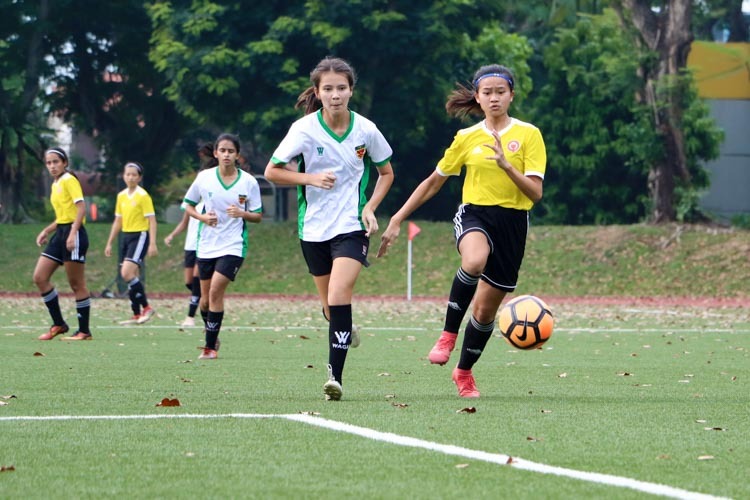 Her efforts were finally rewarded in the 46th minute, as swift transition from defense to attack by VJC saw Joie (#10) charging down the right wing. When nearing the edge of the box, she looked up and delivered a cross right into the path of her teammate, Deseree Khor (#17), who made no mistake and volleyed the ball into the back of the net to give VJC the lead. 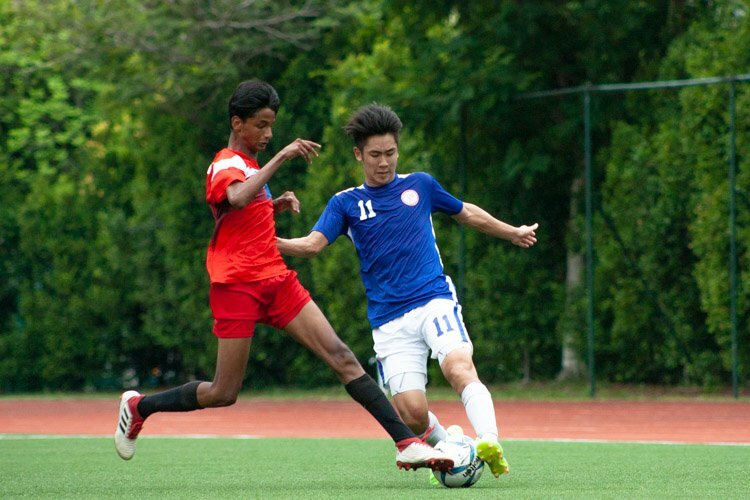 Despite multiple opportunities to increase the score line, VJC were unable to convert their chances. 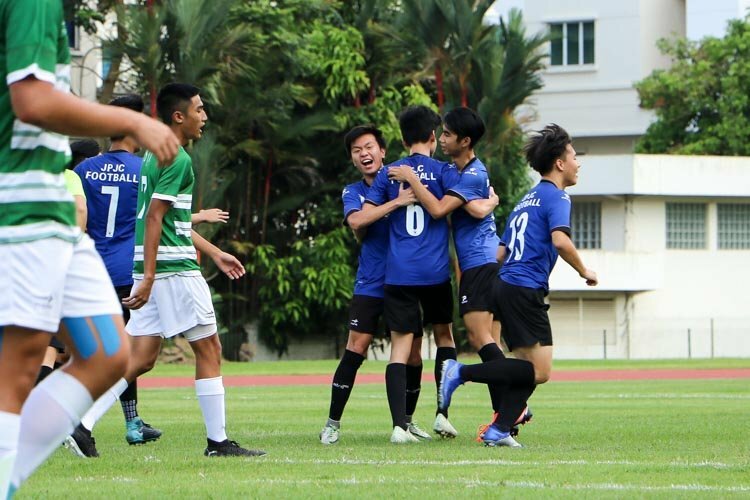 During the last few minutes of the game, RI pushed for the equalizer, committing more players forward in attack; however, their attempts were foiled as VJC’s midfield held strong and VJC were able to see off the game to claim a 1-0 victory. 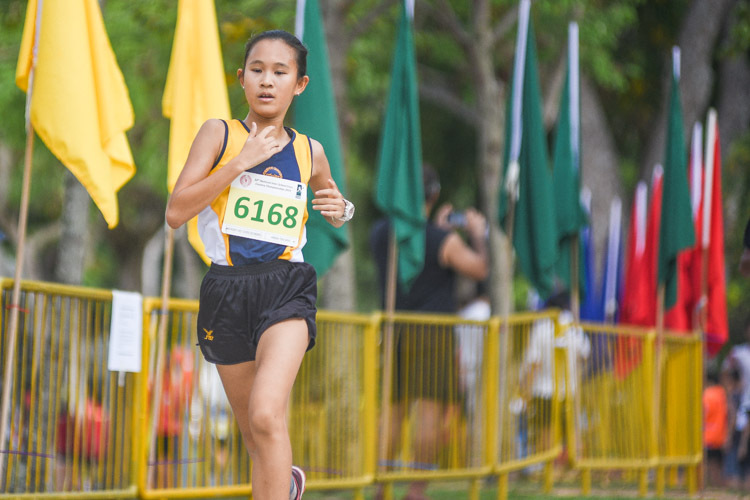 VJC’s captain, Darwisyah (#12), thought that it was a very hard match against very strong opponents but her team managed to persevere and get the results they wanted in the end. 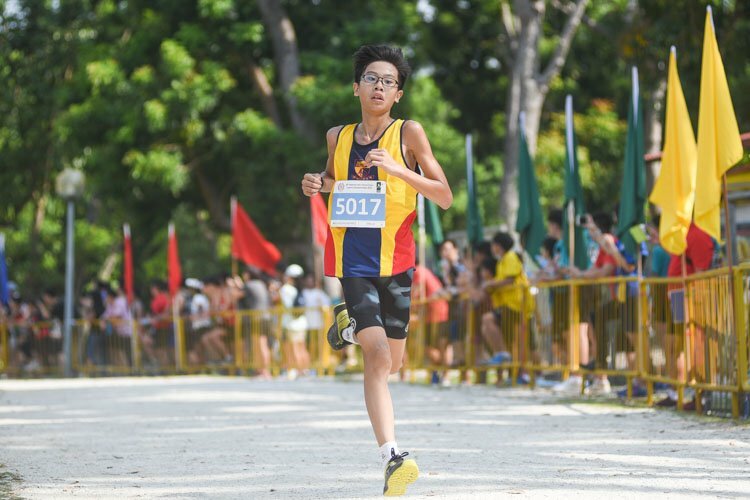 “I think our team did quite well, we actually stuck to our game plan and everyone gave their 100% and never stopped running; so I’m actually proud of the team,” said Darwisyah. RI’s captain, Catherine Kausikan (#21), also applauded her team’s effort stating that they showed great desire and strength till the very last minute. “We’ll come to the next game stronger than before and we’ll keep working hard, fighting for what we want,” Catherine added. 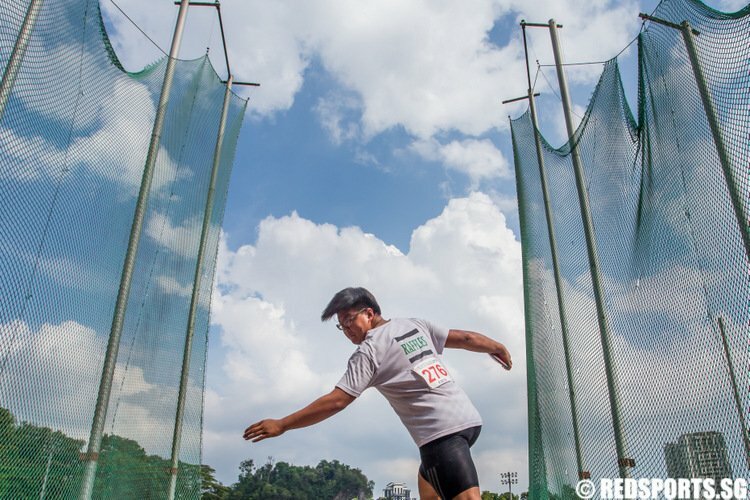 Both teams will be playing again on 17 April, where RI will play against St. Joseph’s Institution while VJC will face Tampines Meridian Junior College.